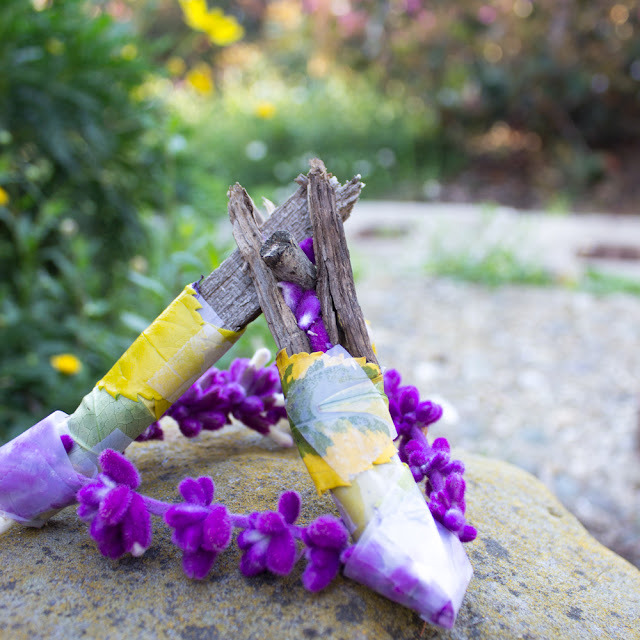 A while back I made these super simple cardboard fairy houses with a couple of preschoolers at the park. Today's fairy craft is a bit more open-ended. With all the beautiful spring flowers and greenery around, why not encourage kids to design and construct their very own fairy houses using materials found outside? 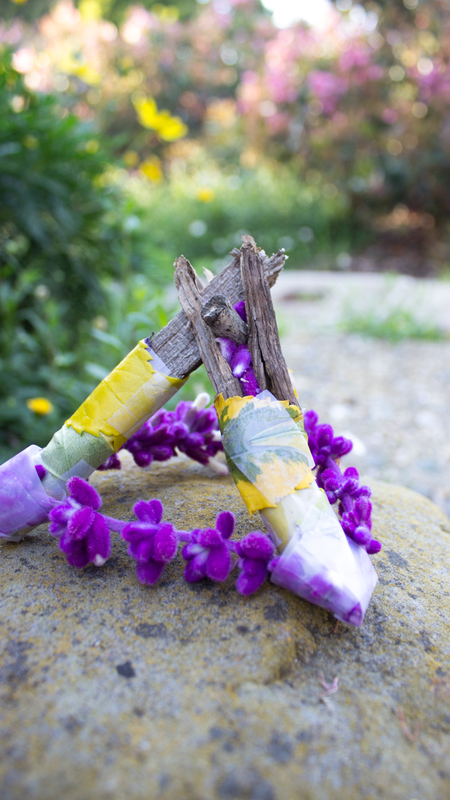 Step 1: Have kids gather pretty and interesting flowers, leaves, rocks, sticks and twigs. 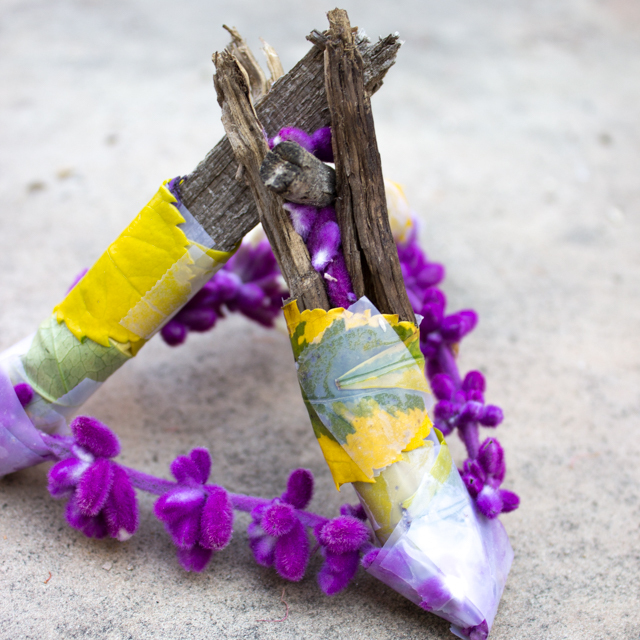 Step 2: Encourage kids to think about what they want their fairy houses to include. What shape will the house look like? Where will the fairies eat, sleep, etc? Step 3: Give them tape and watch the fun commence! It's really special seeing each child's unique way of interpreting and solving the challenge. If you like this type of activity, why not encourage your kids to design and build other structures like their own zoo or a bird's nest . You're sure to see their creative thinking explode!